FUTA website is back online... registrations continue. 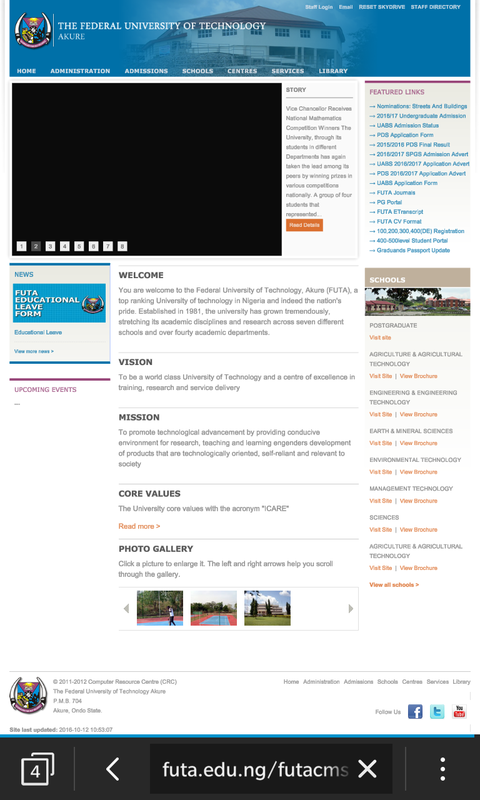 Since two days now, the official website (www.futa.edu.ng) of the Federal University of Technology akure was hacked. But we are happy to put it to you that it is back online as at now. So we employ newly Admitted students to continue their registration which includes payment of acceptance, confirmation of payment, printing of Admission letter and creating a student profile... all on the school's website. Wish you good luck, thank you and remain blessed.